Travel is a transformative experience and the unique learning opportunities offered by educational travel can leave a lifelong legacy. And when it comes to planning student group travel, we are well aware that one of your most important decisions involves choosing your tour provider. 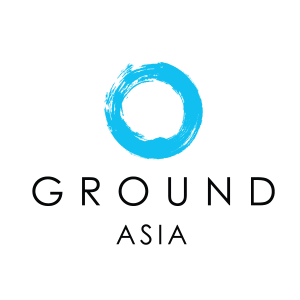 Here are 10 reasons why you should choose GROUND Asia. Our approach to program creation is very personalized. We tailor every trip to ensure your students achieve the desired learning outcomes. Which is why our first step is to identify your group’s specific objectives so that we can match your group to support the needs of the community. GROUND Asia’s challenging programs offer young people meaningful experiences. Building leadership skills, resilience and cross-cultural understanding are the foundation of this transformation. We put our programs together differently than other student travel organizations. The communities we work with are our clients. We work closely with them to design mutually beneficial programs for sustainable community development. Based on GROUND Asia’s close relationship with our partner communities, we can offer unique and authentic cultural immersion for your student group tour. The best educational travel companies feature great people. GROUND Asia’s team members are all experts in their own countries with a variety of skills and experience. They are all English speaking and serve as an excellent resource for tour directors/coordinators and specialist guides. Our programs are designed to limit negative impacts on our planet and respect human rights. GROUND Asia’s commitment to responsible travel ensures that all wild and domestic animals that our projects engage with are protected and we avoid venues where animals are exploited. Despite all good intentions, those volunteering their time and skills do not always match a desired outcome. GROUND Asia works hard at sustainability to make sure there is a beneficial transfer of skills between your student travel volunteers and the local people to the benefit of the needs of the community. GROUND Asia places a high priority on the relationships that have fostered our partnerships with community leaders that began in many cases as long as 25 years ago. And we’re sure your travelers will love getting to know us as much as we love getting to know them! Our destinations showcase the vibrant energy of the developing countries in our region, which feature amazing and diverse cultures and genuinely friendly people. We inject a healthy mix of fun and downtime in every student group tour. An afterschool game of soccer or a jump rope contest allows both your students and the children of the local community to join together in some heart-pumping, friendly competition. If you’d like to know what GROUND Asia can do for your students get in touch with us here, or check out website for more information about our educational travel programs.